Best wishes, Peaches and Paprika! We are ready to see all the orange kitties! Geesh! We don't know how our Mom could have missed this event! Too much school studying, we think! You didn't miss it! Hope to see you there! hey is you are looking for an orange boyfriend Frodo would like to apply!! Er-hmmm... I, Seville the Cat, happen to be a marmalade lad. PURRS. 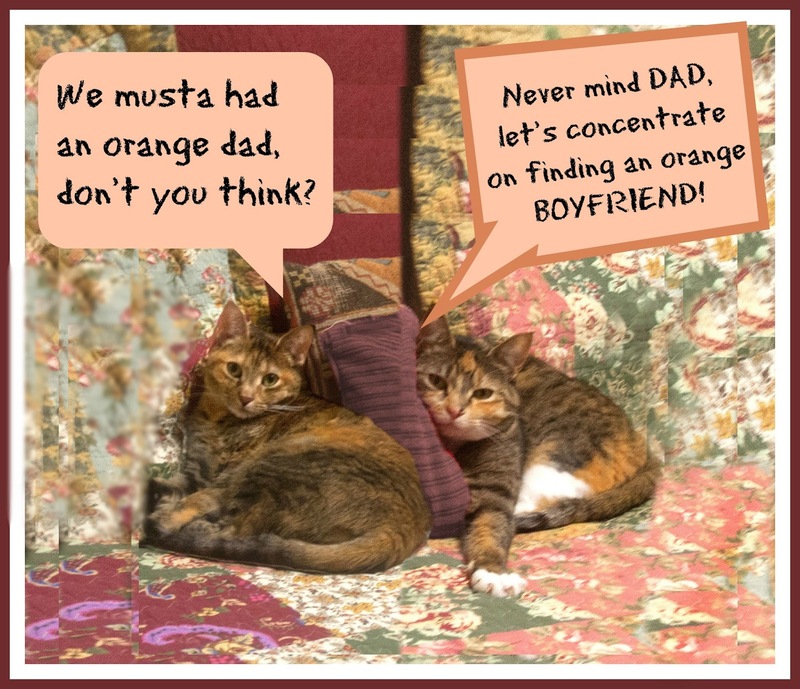 Sorry Pranice is a girl, I hope you find orange boyfriends :) THere are lots of them out there like Wally of Island Cats, Carmine, etc.